Reduce the requirement for participants to attend a full 1-day Shuttle Time course, through the provision of blended, online and face-to-face learning. Upon completion of the online Shuttle Time module, participants will receive a certificate via the email address provided during Shuttle Time registration. 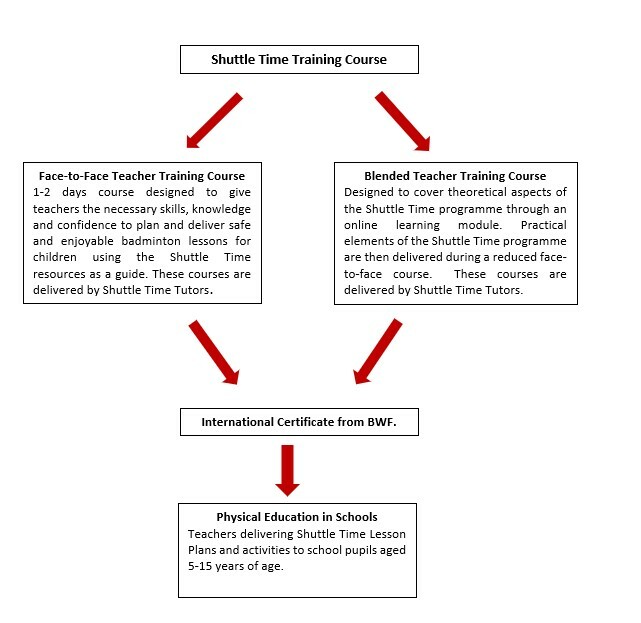 The introduction of the online Shuttle Time module provides two methods by which participants can obtain a BWF Shuttle Time Teaching Certificate.